My aubergines and melons in the greenhouse are inundated with aphids that are sucking the life out of them and turning them into hunched, defeated shadows of themselves. I fear almost complete destruction within days. And this, despite spraying them with organic pesticide several times. This wouldn’t matter if I hadn’t been nurturing these plants since February with the loving attention of an Antarctic penguin nursing an egg. But it does matter, oh, very much. And don’t tell me I can just pop to Sainsbury’s and buy three types of melon or remind me that I don’t even really like aubergines. That, as any kitchen gardener will know, is not the point. 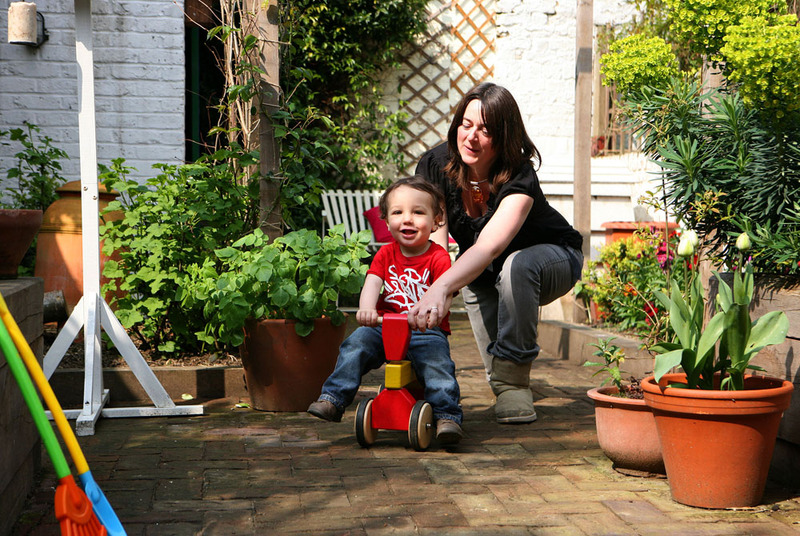 On a happier note, a photographer came round from The Sunday Telegraph to take some shots of me and my son in the garden, one of which will be in the paper this Sunday. In the past I’ve always dreaded these occasions since, at the age of 36, I have yet to find my ‘photo face’ and generally look either slightly simple or manically deranged when faced with the lens. If it’s a gardening photo, something even worse happens which is that I can’t seem to pose with a pair of secateurs or a trug without a stupidly wry look on my face as though I’m acting in a comedy movie, as if holding a pair of secateurs is a hilarious and odd thing to do, like holding a giant inflatable banana. Luckily the photographer was charm itself and my son, a born poser at 18 months, stole all the limelight so all I had to do was hang around in the background, fortunately, without any props. Previous Previous post: Is Monty Don the BFG?